2 Lbs. of Meatloaf is Prepared with Ground Turkey, Served with Brown Gravy and Your Choice of Sides. 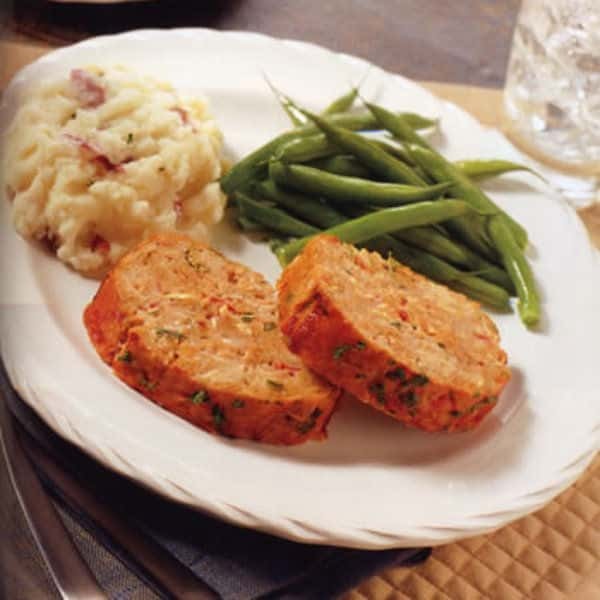 Meatloaf Can Be Seasoned as Either Barbecue Southwest (Dried Ancho and California Chilies with Barbecue Sauce) or with Italian Herbs.